Ignite is our group for students in grades 4 through 6 and meets on Wednesday nights from 5:30 – 7:00pm. 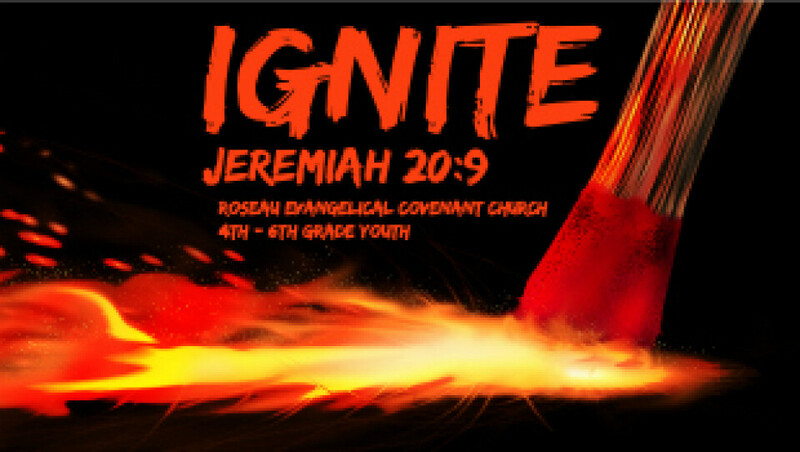 Ignite is high energy (to burn off some steam after being in school all day) with music, games and a lesson from Scripture. We end with a meal for all students and leaders at 6:30. We strive to partner with families and provide resources so the lessons learned on Wednesday nights can be talked about at home during the week as well.